Santa Fe was once a major trade thoroughfare, bringing luxury goods to and from the American Southwest. The shopping opportunities in Santa Fe are still uncomparable, providing visitors access to an unprecedented variety of high quality Native American Art and other unique, handmade goods. One of the most popular attractions in Santa Fe during the summer months are the outdoor summer markets that showcase the exquisite varieties of folk, Native American, contemporary, and other art from throughout the region. 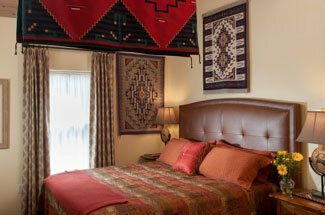 Book your room at our luxury Santa Fe Bed and Breakfast today, and start planning your summer around these one of a kind summer art markets. Not only are the summer markets in Santa Fe vibrant and colorful places to shop, but they consist of some of the oldest and best art markets throughout the world. Coming up in early July is the 3 day arts fair, ART Santa Fe, which has long been a favorite Santa Fe event that brings artists and representatives from more than 50 galleries from around the world together. This premier arts event not only attracts stars from the art world, but will showcase new and emerging talent as well, making it a spectacular event for art collectors and enthusiasts. Throughout the same weekend in July, Santa Fe will be celebrating a stunning collection of Folk Art at the International Folk Art Market, which features 173 artists from 59 different countries across 6 continents. This spectacular summer market is the perfect place to find unique pieces of art, ranging from from pottery, rugs, and clothing, to stunning jewelry and so much more. Tickets to this incredibly popular Santa Fe market are limited, and with over 18,000 visitors each year, it’s a good idea to buy your tickets ahead of time. If you miss the International Folk Art Market, there’s still plenty of other summer markets to enjoy in Santa Fe. Towards the end of July, shoppers can enjoy the Traditional Spanish Market or the Contemporary Hispanic Market, both located on the historic downtown plaza. Even later still, in August visitors to Santa Fe will have the chance to enjoy the world famous Santa Fe Indian Market. 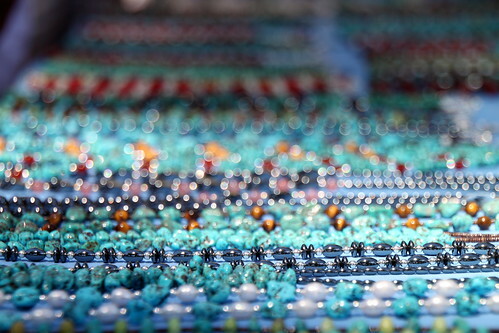 This market is the world’s largest market dedicated to Native American artistry. 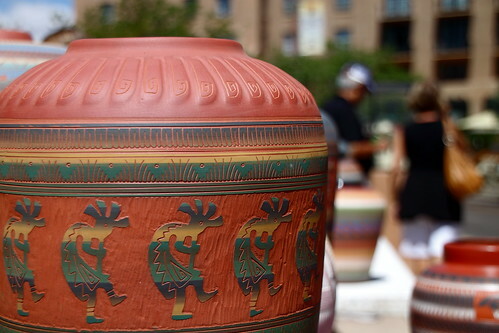 During these exciting two days, over 1,000 artists crowd the historic Santa Fe Plaza for this free event, selling a broad range of traditional and contemporary Native works of art, including jewelry, pottery, textiles and so much more. 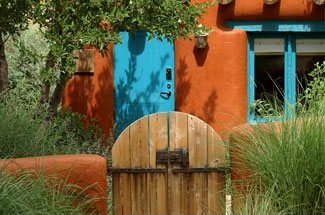 Book your room at our Santa Fe Bed and Breakfast today, and enjoy these vibrant summer markets.